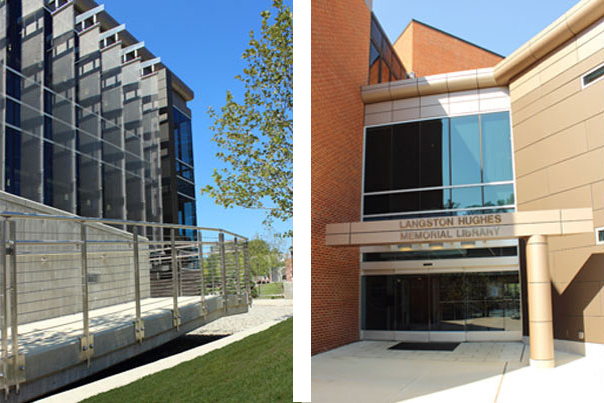 This project was featured as an "Outstanding Project" in the 2013 issue of Learning By Design. 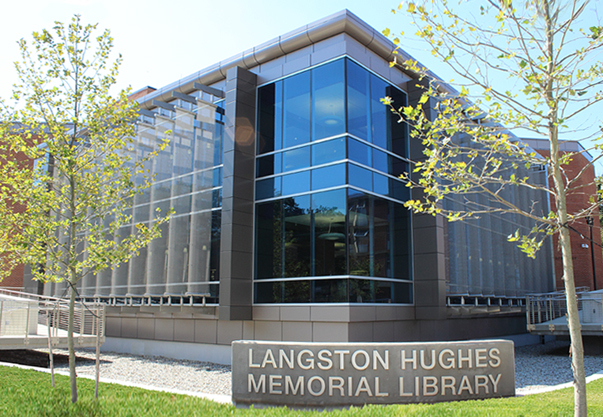 Contracted through the Pennsylvania Department of General Services (DGS), FVHD provided a comprehensive, in-depth, functional analysis of departments and personnel at the Langston Hughes Memorial Library. 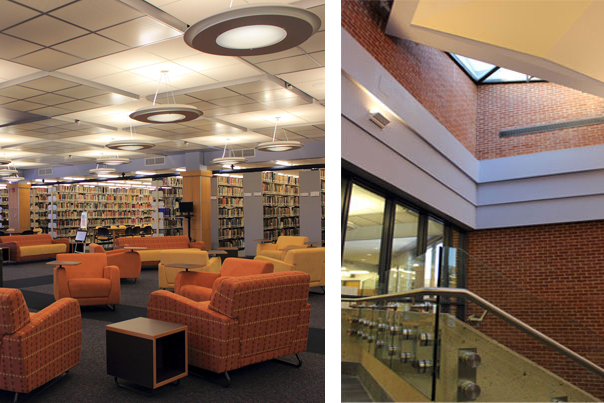 Beginning with a “design charrette” involving the Library Administrators, staff and students, this intensive planning session resulted in a well-defined, efficient organization and integration of spaces creating opportunities to enhance services and provide new space for collaborative learning at the library. 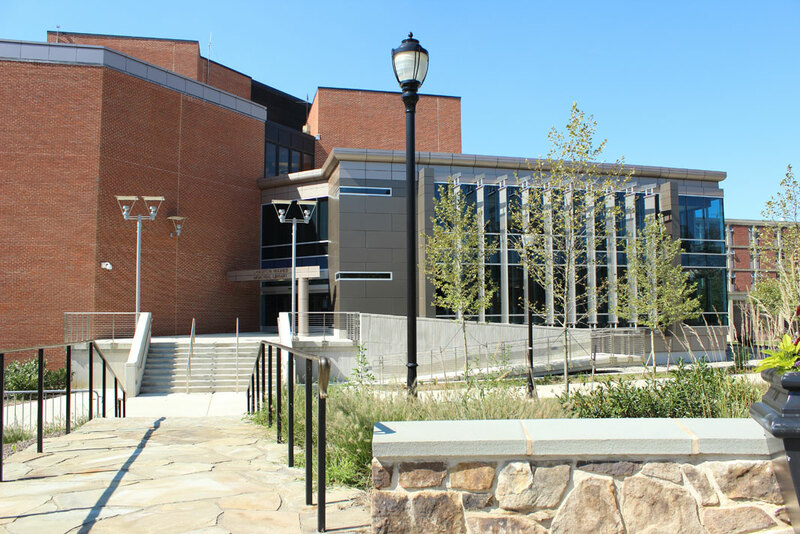 The project proceed in two phases, the first phase focused on the interior HVAC, electrical and ADA barrier-free building upgrades and improvements to the main floor circulation, special collections and reference service, while the exterior if the building was undergoing a restoration and energy efficient window replacement. 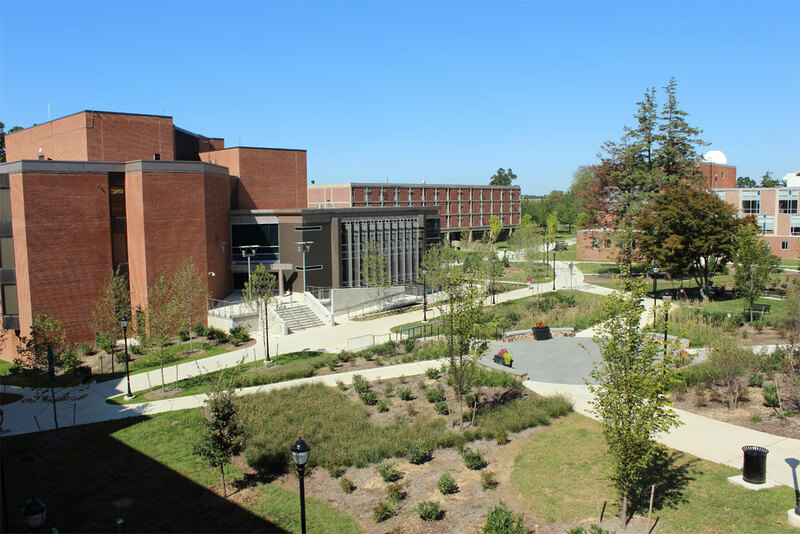 Phase II consisted of the complete removal of the existing masonry on one side of the Library, replacing it with a new glass curtain wall and primary entranceway to create a campus “quadrangle” facing Dickey Hall and Grimm Hall. 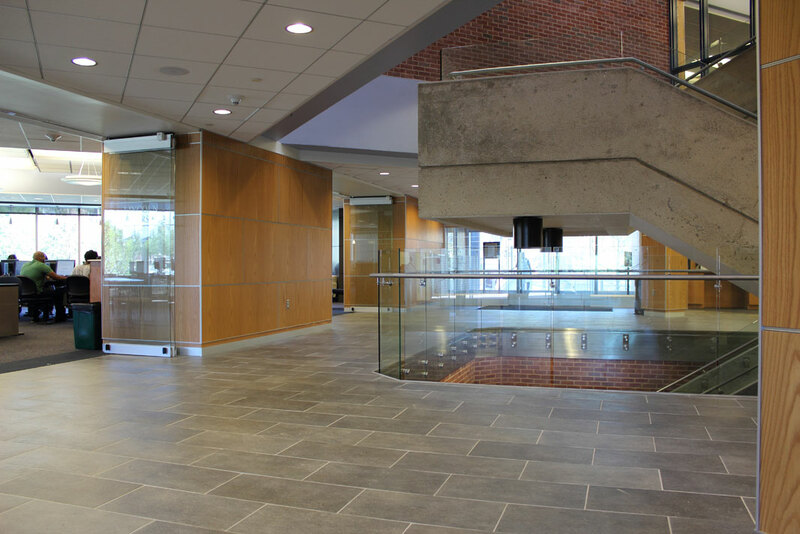 The large windows allow natural light into the space and create a visual relationship with the new campus center. 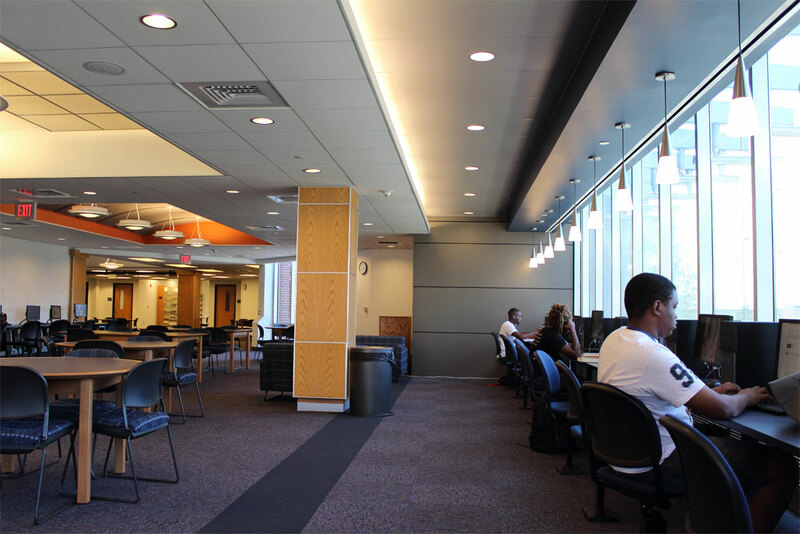 A new “information commons” with an expansive computer laboratory and individual workstations was designed with 24-hour access for students to create a learning destination. 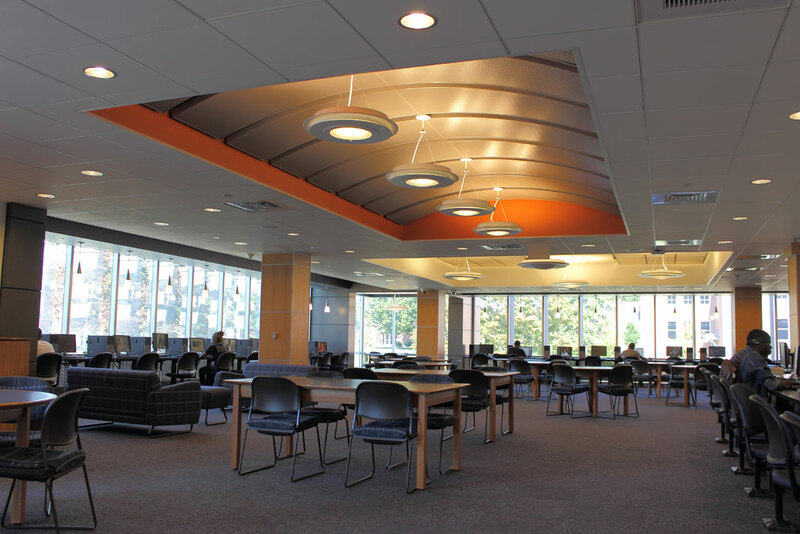 Consolidation of book stacks allowed for classrooms and lecture spaces for additional learning opportunities.